Visitors of this year’s Productronica industry fair in Munich were already able to benefit from this network. At the ASM booth, several members presented smart, innovative workflows they developed and implemented, explained the resulting efficiency gains, and provided guests with practical tips for their own improvement projects. In addition, monitors spread all over the booth conveyed images of operations and best practices at member companies’ SMT lines. The fair also provided an ideal opportunity for members of the SMT Smart Network to get together to exchange experiences and plan new projects. This meeting was also attended by electronics manufacturers who are already benefitting from findings shared by others and are considering to join the network. "Each factory must determine its own path to the smart SMT factory, but everyone can benefit from experiences and best practices in other companies – that's the idea being shared by all members of the SMT Smart Network. 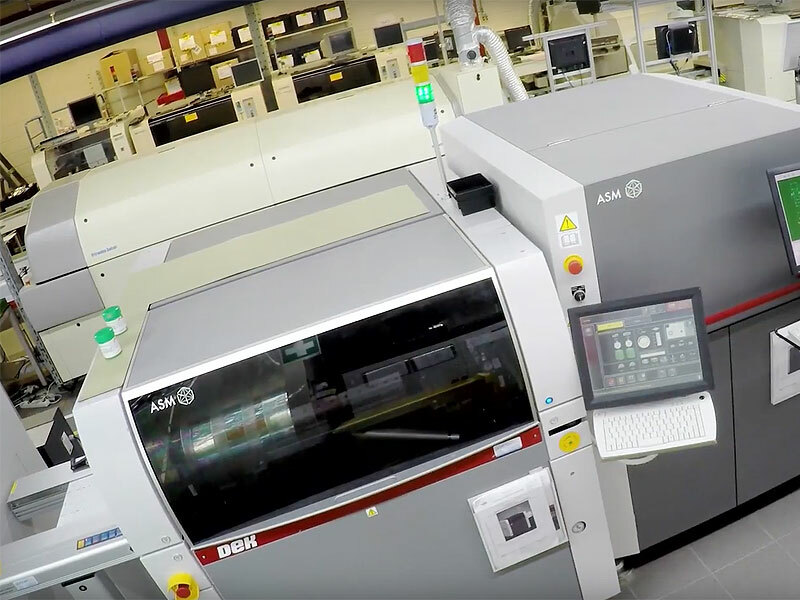 Since the network is open, any company can join that is working on making its processes smarter and is willing to share the experiences collected during these projects," explained Alexander Hagenfeldt, Project Manager SMT Smart Factory at ASM. "The feedback to process-oriented tours hosted by network members during the Productronica was extremely positive, because they involved actual users demonstrating their solutions and processes, explaining implementation options, and reporting their findings and benefits in detail." Network pioneers included electronics manufacturers like Aros (Sweden), BYD (China), CIG (China), MRI (USA), Rena (Netherlands), Topscomm (China), Vega (Germany), Velankani (India), and the ASM factories in Germany and Huizhou (China). The organizational infrastructure of the SMT Smart Network is provided by ASM with its worldwide SMT Centers of Competence with their respective teams of process experts. "With ASM's organizational support, the SMT Smart Network allows us to go in new and innovative directions that lead to clear improvements in users’ KPIs. The network is open to anyone who wants to make their electronics production smarter, share their experiences, and subject themselves to open benchmarking. The only requirements: be willing to make intelligent and long-term process improvements and share your experiences with other members. Even after only a few months and meetings, it is already becoming abundantly clear that everyone benefits from this type of cooperation. I am confident that this network will enable us to reach our goals with much more speed and certainty," said Jochem Winkelman, General Manager of Dutch SMT Smart Network member RENA.